Weeks ago, I planned to race the Trek or Treat Run in Oakville. It’s a popular and unique event (runners can choose between the 5K, 10k and Creepy Mile) which is held in Oakville; the run goes through the trails and around a cemetery at night, making headlights on runners mandatory. It is a terrific event for both runners and Halloween enthusiasts. My recent bout of pneumonia put an end to my plans for this run. My boys, though, almost 4 and 9, both were looking forward to the Creepy Mile. How could Mommy say, “No”? So, we planned to reverse roles; this time, the boys would run and I would be the support crew – unless I thought I could keep up and run with them. We teamed up with friends (Daron, son and daughter) who are also of Irish descent and dubbed ourselves The Irish Pacesetters. However, we hit another obstacle when a party invitation for Number 2 came home; times, of course, coincided with the boys’ run. The solution was easy: Plan A was to take him to the party, leave at 6:30 if he wasn’t happy (it was his first birthday party so anything could have happened) and go to the race together; Plan B was to drop off #2 at the party, drop off #1 at Friend’s house, pick up #2 at 7:30 and head to the race for the after-party. Either way, we would get to the race. Even though I wasn’t running, I did end up doing a lot of running around as we ended up following Plan B. By the time, #2 and I arrived at the event, the 5K and 10K races were just getting started. Adults and kids alike were dressed in costume or in running gear. There was a incredible amount of excitement in the cool night air, a high level of energy that surpassed that of any other race that I’ve run. My son and his friends had finished their run, claimed their unique black and orange ribbons and were busy feasting on pizza and candy. Once done, the four kids put their headlights back on and headed outside to the field – the totally dark field – to run around. Daron and I couldn’t help but laugh as we watched them run across the grass, headlights bobbing up and down, resembling excited little space creatures which arrived on Earth for the first time. The four of them ran, laughed, and turned off their lights so that they could sneak up and scare us in the dark; then, they laughed some more and ran away, headlights on. I saw the first runners of the 5K cross the finish line but didn’t notice their times; watching my own boys laugh and play was much more exciting. For them, running was not about time or place but about being with friends and having fun. These sub-9 year olds reminded me that running meets so many of our needs: the physical one, through the act of running; the emotional one by achieving goals, whatever they may be; the social one, by being with friends and others who share that same spirit and enthusiasm for being active. At different stages in our lives, one need becomes more important than the others but, every now and then, the scale tips, the balance shifts and another need becomes greater. For my boys, the need to run this race was primarily social. For me, attending it as a spectator fulfilled an emotional need. The physical need? That’s on the back-burner for now. But, I have a feeling it won’t be long before that need becomes dominant again. I thought I had made it through the first month of the school year. Two boys and two different schools means for a hectic drop off and rushed end of the day. Every morning had tears when Number 2 said good-bye; suddenly, without rhyme or reason, those tears stopped last Thursday. Success. Number 1 had settled into his morning and afternoon routine, made it through a change of teachers half-way through the month, and was happily participating in extra-curriculars. Another success. Me, I had found balance between work and family and still made time to run. I even finished a half-marathon at the end of September with a very respectable time. Dad has also had to make adjustments: morning drop-offs and pick-ups on his off-days; planning time with the boys so that I could do my long runs. A huge success. So, when October 8th arrived, the official start to the second month of school, I thought I would be writing about how well we made the adjustment to a new school year. And, in many respects we did. But, on October 7th, that all changed. That was the day I took my school cross-country team to our first meet. I wasn’t feeling great as I had been fighting a cold but, typical me, I felt well enough to go. This meet is a big event and I really needed to be there – for the 150 kids, for the school and for me. Our team ran well, bringing home several ribbons and two pennants. However, as the day progressed, I started coughing more and more; as soon as I got back to school, I booked a doctor’s appointment and a supply teacher for the following day. That night, the coughing subsided but I still felt like a bag of dog dirt. So, the first month of school was a success. The boys are happy, I ran well, and my cross-country team had a fabulous meet. But, yesterday, I was diagnosed with silent pneumonia. This makes no sense to me as I just ran a strong 10K on Sunday night. Now, I can barely make it up the stairs. And, there is nothing silent about my cough. This means my plans for October have completely changed. I’m no longer running a half – the race I’ve been training for since June – at the end of the month; instead I’m gearing up for recovery. I’m starting at the bottom of the hill and climbing it is bound to be so, so frustrating because I’ve had to abandon my goals. I know I have a long way to go but, once I get to the top, things will be easier. There is always another race; it just may take a while to get there. Author CynsspacePosted on October 8, 2009 Categories UncategorizedLeave a comment on Surviving the first month? For the past year that I’ve been back into the road-racing scene, I’ve consistently been behind Margaret. Whenever we run the same event, she is always one spot – seconds – ahead of me. But, even more frustrating than that is we are in the same age group so she always beats me in the age group awards too. Three weeks ago, we both ran in Oakville; I ran the 10K and she ran the half-marathon. When I saw that she finished in 1:41, I was relieved that I only ran the 10K, believing that I would have been minutes, not seconds, behind her. Two weeks ago, we both ran a 5K in Burlington. Somehow, I passed her in the last kilometre; that was a first. When I saw that she was also registered for the Run for the Grapes, a half-marathon in St. Catherine’s, I was nervous. The data shows that Margaret is a better runner than I, but that one race – that short 5K – gave me hope; perhaps I could outrun her in this half. Last Sunday morning, I scanned the hundreds of runners at the start line to see where she positioned herself: close to the front. “Good,” I thought to myself. “Now I can see her, and I can pace myself against her. I want to stay back until the time is definitely right, probably at the end.” And I followed this strategy for the first 8K. But, somehow, somewhere between 8K and 9K, I caught up to her. “Thanks. You too.” After a few breaths, I continued, “You’re Margaret, right?” She answered yes. “I’m trying to stay behind you (oh no, I was giving away my secrets) but I can’t.” So, we ran together and chatted for a few kilometres; sometimes I let her pull ahead, worried that I was pushing myself too much and too soon, but I always caught up again. We counted the women ahead of us at the turnaround. “That makes us 14 and 15,” I said. And, then, it happened. I pulled ahead of Margaret at the 14K mark. I kept waiting for her to catch up and pass me. At 17K, I heard lighter footsteps – a female’s – but it wasn’t Margaret. At 18K, I heard tired breathing but her habitual grunt wasn’t in it. By 19K, I felt that if I could just hold my pace for those last two kilometres, I could do it – I could outrun her. When I crossed the finish line at 1:41, I looked back but she was no where in sight. Neither was my cheering squad; Dave and the boys had gone out for a bike ride in this quaint rural town and had obviously lost track of time – my time. So, I ran back out. “Go, Margaret!” I cried. She ended up a few minutes behind me, finishing in 1:45. 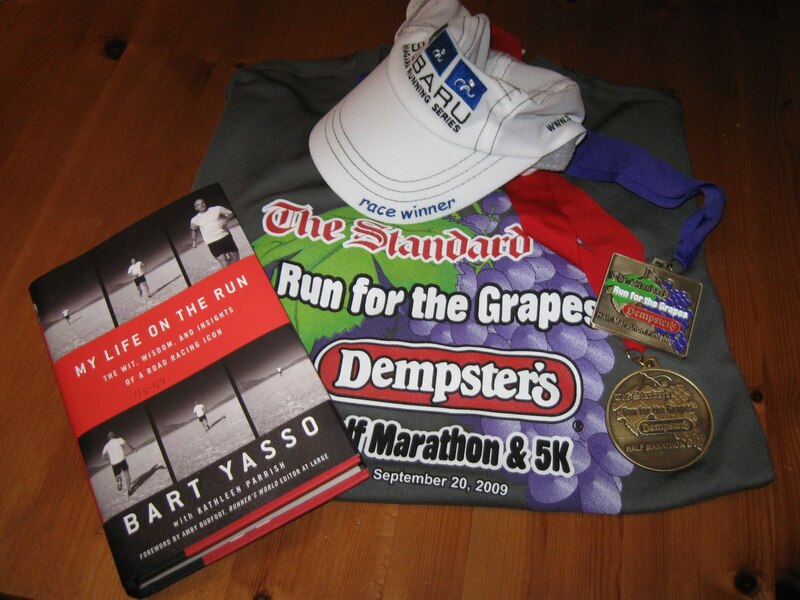 As far as standings go, I finished as 13th female, 2nd master and took home our age group award- Bart Yasso’s autographed book, a running cap, and a medal; Margaret was one spot behind me in our division. When we walked back to our cars, I learned that she is not only in my age group but is also my age. That means that one of us will never jump into the next age group waiting for the other; we will always be chasing each other to the finish line. Still in shock that I beat her, I asked Margaret if she was injured. Same mindset, different stages in our lives. We are moms and we are runners; for both of us, motherhood and running are delicately intertwined, making us who and what we are. Our next big race together will be the half-marathon in Niagara Falls. There, anything can happen. In the spring, I planned to run a fall marathon. However, one Saturday night in June, when I considered my husband’s work schedule and the needs of my boys, as well as my own desire to run well, I was compelled to reevaluate my goals. 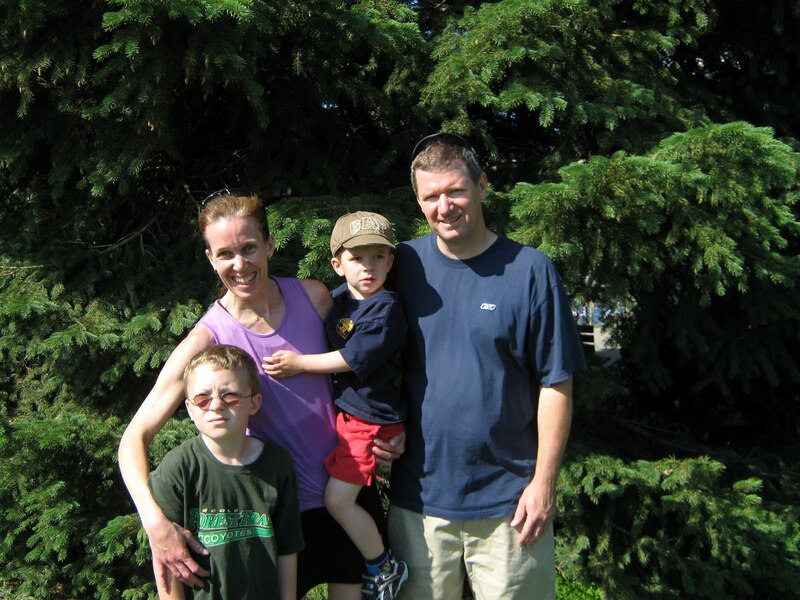 As a family, we planned on a fall half-marathon – although the date and place were undecided. Then, I set 3 realistic goals: (1) a 1:42 half-marathon; (2) increasing mileage over the summer, gearing towards a spring marathon; (3) keeping everyone happy. For me, each goal was equally important and finding that special balance to achieve each became a weekly challenge. Almost every run was done with a child in tow, one on his bike and one in the baby jogger. Even though he is almost 4, #2 was always happy to jump into the baby jogger – staying at home and being excluded was simply not an option for him (and CAS frowns upon 4 year olds being left alone). My older son is a mini-CEO, a planner, a visionary; knowing that I had goals to meet was all that was needed to motivate him to ride along, no matter what the distance. He saw himself as providing an essential service; he was a pace bunny, a water boy, and fantastic company. Between the support of my boys and delicately planning long runs and races around my husband’s work schedule, I was able to boost my mileage and decrease my run times. Getting up for early races became easier for everyone as they saw the improvement in my running. Daddy measured this by time, #1 looked at my rankings, and #2 started counting the medals hanging above my desk. As I started racing more and more, each one became a goal towards running a 1:42 half; I figured that to run a strong half-marathon, I needed to be able to run a good 10K. It wasn’t long before I discovered that each 10K race prepared me for the next; I learned how to pace myself at the start, how to find my spot in the first few kilometres, how to pick up my pace once I found my groove, and how to fight for the finish. As each 10K race became easier than the one before, it became obvious that I needed to practise running a half-marathon in order to meet my primary goal – a 1:42 half. The next rung on my ladder, then, became The Run for the Grapes, held in St. Catherine’s. The Stryder Waterfront 5K in Burlington was suppose to be held last Saturday. However, the race was postponed by a week, apparently due to construction in the area. The likely reality of the delay, though, was the run was scheduled for the Saturday morning of the last long weekend of summer, resulting in low registration. Another possibility is Burlington had Ribfest going on the same weekend and the crowds from that were incredible. Imagine: thousands of people congregating into the waterfront area for ribs. Regardless of the reason, I was annoyed at the date change as a race last Saturday morning fit in nicely with my training plans wheras one this weekend did not. I was tired from my week at work and I was taking a course that started at 10:30. However, I declined the opportunity to withdraw my registration for a full refund and planned to run. So Saturday morning, Daddy and #1 were still sleeping in bed, #2 was locked in front of the electronic babysitter and I headed west to Burlington. For me, this race was really no different from any other: race kit pick-up, bathroom (but a real bathroom this time), warm-up, gunstart, run – fast. I targetted my victim, passed him or her, and continued onto the next. Once I realized that I was the sixth or seventh female, I was driven to taking down a few more. With just over a kilometre left, five women remained with three of them in my line of fire. I went after the one in orange but she was protected by two male bodyguards behind her. The path was narrow and I tried to squeeze through – but had no luck. So, I pulled back a bit and waited for the right moment. Suddenly, I picked up my pace and, consequently, my breathing deepened; the guards looked at me and pulled aside, knowing that they had lost. “Go get her,” one said, and I did. There were now two who remained visible; I sensed the leaders, probably a minute or two ahead, were victorious. My legs turned faster and faster in my efforts to catch the remaining runners, and I hoped the hill at the end would wear them down. It did – but not enough. They finished ahead of me, 28 and 55 seconds respectively. With a class to get to in less than an hour, I ran for the car for a quick get-away, leaving my first place division award (and 5th overall) for a friend to claim. Post-script: After finishing, I grabbed a bottle of water and the two bottles of juice that all runners were given at the end. Driving home, I was tempted to open one but, being on the highway, I thought it would wiser to keep my hands on the steering wheel. Thank goodness! When I went to put them in the fridge, I realized they were mini-bottles of wine. Now, that could have been a whole other story….. I really didn’t want to run today. I was tired; back-to-school week was exhausting, the weekend was hectic and I just didn’t feel like running. But I knew I had to; the half-marathon I’m training for is coming up and I need the mileage. Knowing that the week ahead is likely to bring all sorts of interference with it, I dragged myself out. Somewhere between lacing up my shoes and the end of the first kilometre, I suddenly remembered it was the day of the Terry Fox Run and the guilt from not participating hit me. I knew about the run but I had many reasons for not doing it: I have to run 10 miles; it’s the first day of Sunday School; we recognize Terry Fox at a school run at the end of the month. So, I put Terry out of my mind and hit the pavement. In Canada, Terry Fox is a household name. In the early eighties, he began to run across Canada to raise money for cancer research. What made his story interesting is Terry was a cancer victim; as he had lost one leg to cancer a few years earlier, he was running with a prosthetic. Terry had to abandon his run when he learned that his cancer had spread and he needed to return home (to B.C.) for surgery. However, he still achieved part of his goal; he raised thousands of dollars for cancer research and, more importantly, he raised an awareness of the disease. The Terry Fox Run was established in his memory and it generates millions of dollars for cancer research each year. I was not thinking about Terry Fox today; I was focussed on my run. As I dragged myself up the hills and into the wind on this hot Sunday afternoon, I did have many thoughts of packing it in and heading home but I stuck to my plan, determined to run my 10 miles. Hot and thirsty, I made a detour for a friend’s house so that I could get some fluids into my system and, as I headed back out, I spotted a wheelchair athlete heading towards me; he was pushing himself into the wind. “Man, that’s tough,” I thought. I glanced at his muscular arms and thought about his legs and wondered why I had never noticed him before in the area. “What a guy.” A block later, I spotted a sign: Terry Fox Run. That made sense; he was out for Terry Fox. As I passed other runners, I wondered how many of them were also running for Terry. I thought about the man in the wheelchair again and I could not help but compare him to Terry Fox. What power they both have; for them, every run is a battle against the terrain, the elements and their own physical limitations. Me? I have it easy; I run because I can. These guys? They run because they want to and their doing so is absolutely inspiring. Tonight, my legs are tired and I can’t help but think about how worn Terry felt after logging 20 miles each day. And, I can not get the image of the wheelchair athlete out of my mind. Perhaps he was like me and doing his own thing; perhaps he was out for Terry Fox. Regardless, he and Terry Fox have made me realize how likely I am to be able to do what I can. From the time I first heard about it, the Labour Day 10K in Oakville was not high on my list of races that I wanted to do. First of all, it is an expensive race – $35 if you registered in June and $60 if you registered in August. Secondly, the organizers didn’t seem to have any swag until sometime in August when the website announced they would have long-sleeved technical shirts for the first 1000 registered; initially, then, the cost of the event seemed to give you only a bib number and a finisher’s medal. Finally, the date of the event just didn’t fit into my goals for this year. However, the race is in my town – Oakville – and we only have 3 races a year. I felt I had to do it simply to support the town. Besides, I coach my school’s cross-country team and someone would be sure to ask me if I ran it. How could I look at a 10 year old who has complete faith in what I coach them to do and answer “No”? He (or she) just wouldn’t get it. So, I registered. Last week, though, I almost backed out. After an awesome 14K race in Port Dalhousie last Sunday, I stupidly decided to run 10 miles on Thursday after school. Number 1 was with me on his bike and when he was pulling up beside me, I moved over onto the edge of the sidewalk and felt a twinge in the back of my left thigh. Did I continue to run? Stupidly, again, yes. After seeing my chiropractor on Saturday morning and an easy run on Saturday night, I decided that I would be fine running the 10K on Monday morning. But, I did not want to push myself; I have bigger goals in the next few weeks and this race really didn’t matter to me, other than it being in my town. Easier said than done. On Race Day, we ( my three muskateers are getting so good at early race mornings) got to the start 30 minutes early and I did many, many jogs up and down the road to warm up my muscles. When the race started, I stayed focussed and paced myself for an easier run. At 6K, though, I decided that I did feel fine after all and could push myself. So, I chased down this gal in pink whom I had been watching for the entire race, passed her at 8.5 kilometres and refused to give my spot back to her. In the end, we finished 3rd and 4th female overall, with her being 5 seconds behind me. Now here is where it got interesting. After I collected my award, the woman I passed approached me to see what I won. It turned out that she received a gift card worth more than mine. That didn’t make sense to either one of us. Even my non-running, non-athletic friends can’t understand the logic in this. Shouldn’t the overall winners trump all other awards? A similar thing happened to the half-marathon winners: the overall winner won a gift card but an age group winner got almost the same amount and a bag full of goodies. It seems that race directors are trying to balance out the award distribution so that fastest is not always best. So much for fighting to get ahead. Next time, I want to finish 4th! This is the race of any chocoholic’s dream – a scenic, 21K (or a shorter 14K) course along the waterfront of Port Dalhousie, a subdivision of St. Catherine’s, Ontario. Aid stations along the course had water, e-load energy drinks and, of course, chocolate. A thousand runners from Ontario and south of the border came to this quiet little town on Sunday morning in search of chocolate. Except for this runner. Yes, I do love chocolate. But I can’t mix running and chocolate; for me, they simply don’t go hand in hand. Yes, I run so that I can eat chocolate, and I run because I eat chocolate, but I cannot imagine trying to do both simultaneously. Me? I registered for the race in search of an age group award (and chocolate for after the run). So, on Sunday morning, the boys and I headed out the door before 7:00 a.m. to get to the race on time. We arrived at the start area to find there was no parking close by and a huge line at the washrooms (perhaps organizers can plan for porta-potties next time). So we drove back into town so that I could use the facilities at a local restaurant and returned to the start where I changed into a long-sleeved shirt as it was much colder and windier than expected (and I hate being cold). Other than finishing in second place overall, my race was really quite uneventful. There were issues with marshalling within the first 2 kilometres of this out-and-back course as we lead runners ran the wrong way not once, but twice. The half-marathoners, who started 15 minutes earlier, must have had the same problem as their number three lead, who passed me on his way back to the start, asked me if I saw their two front-runners. Lead cyclists would have been a good idea for both races. Then a third time, towards the finish, where the 21K runners continued to run west and I was mixed in with them, I kept calling “Short” for directions; one of the marshalls still nearly missed me, which would have sent me off for another 7 kilometres and completely ticked me off. Despite the mix-ups, I did better than I wanted in the end – not the 1st or 2nd place age group award, but the second place overall. This earned me a nice little bag of dark chocolate coins. The excitement at the race, though, happened at the chocolate stations. Picture a fountain of chocolate, chocolate-dipped strawberries, Hershey Kisses, Tutti-fruitti chocolate….the list goes on and on. The organizers had cases of dry ice at each aid station to keep everything from melting. My boys were in Chocolate Heaven at the Pretty Dirty Girls (aka Running Skirts) aid station, where the female crew handed out about 2000 chocolate kisses and a few real ones. Hubby and #1 were busy giving out cups of water (they went through 80L, and I’m not sure if that was because people were dehydrated from running or they needed a chaser for all of that chocolate) while #2 watched and charmed the skirts off the ladies. My oldest came home with a bag of Hersheys; between that and my own bag of chocolate, I saw no real need to cook dinner that night! After the race, I realized the value in the boys’ volunteering. All summer, they have been very supportive of my running and racing – even if it means getting up when it’s still dark. And, all summer long, they’ve had to sit around idly and wait for me to finish, which has at times felt like an unproductive use of time. But this time, the boys had a job to do; they handed out water to the one thousand runners who passed them – twice. And, they still got to see me run; #1 proudly passed me my water cup while #2 cheered me on. And, this time, in the end, I got to wait for them. Chocolate is my weakness. I don’t drink coffee or tea, I stay away from alcohol, and I don’t smoke. 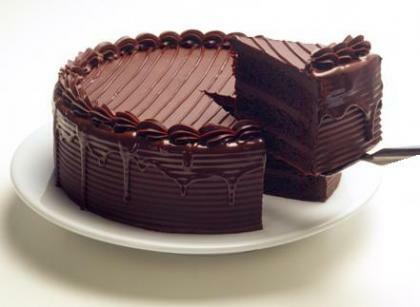 Being lactose-intolerant, I don’t even consider anything with milk or dairy unless it has chocolate – not cheap chocolate, but divine, delicious, pure chocolate. So, back in June, when I first heard about The Chocolate Race, a 21K run being held this weekend in Port Dalhousie, I knew it was for me. There was only one small problem: my baseline. In June, my weekly mileage was 20K. With the summer off and a good running history, I figured that I could be ready for this run if all I wanted to do was finish. Being the competitive spirit that I am, though, I want to run well. I didn’t register. But, all I could think about for the next few weeks was chocolate. Not only was it quickly becoming a food group in our house (“Yes, sweetie, you can have a chocolate cupcake for breakfast. Just let Mommy sleep for 30 more minutes.”), I thought about it, The Chocolate Race, whenever I ran. Could I be ready in time? In July, my mileage slowly increased and my speed was exactly where I wanted it to be. When I bought a chocolate-coloured running skirt (shopping for new gear is my other weakness), I knew I had to run this race. At the beginning of August, I made the commitment; I registered, not the 21K course but the shorter, 14K route. 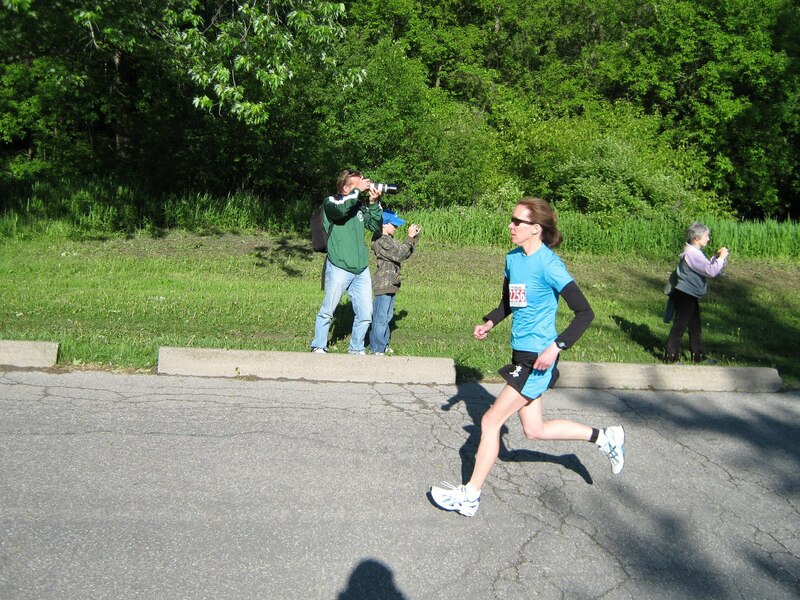 The Chocolate Race was no longer the goal but a stepping stone towards The Niagara Half-Marathon in October. Today, I’m ready for the distance and the boys are set to help at a water station. This is what we educators refer to as Apple Syndrome – in this case, chocolate-covered apples.